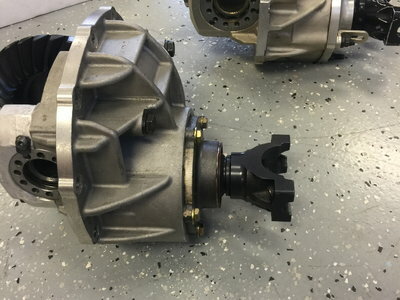 Click Here to Begin Slideshow In the past couple of issues, we dug deep into the GM manual disc brake kit offered by the folks at Heartbeat City Camaro (15081 Commercial Drive, Shelby Township, MI 48315-3933; PH: 586-226-8811; Website: http://www.heartbeatcitycamaro.com). If you flip your browser back to those earlier articles, you’ll see we examined the master cylinder, hold off valve, spindles, wheel bearings, disc brake rotors and other components included in the kit. They’re all over the top in terms of quality, but it doesn’t end here. 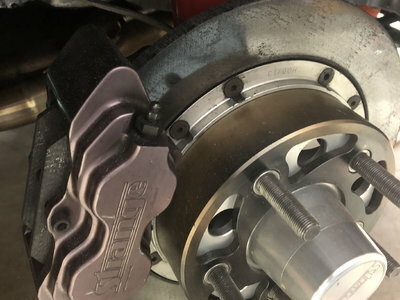 This is the rest of the inside scoop on quality OEM style disc brake kits: The brake caliper mount brackets included in the kit are heavy-duty steel pieces that are yellow (gold) zinc dichromate plated. There is a right and a left hand bracket, and both are exact reproductions of the original GM components. 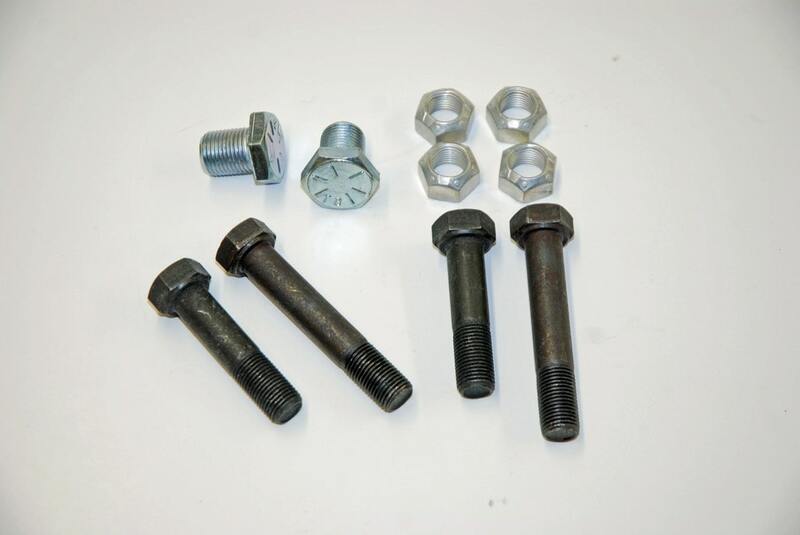 The ½-inch caliper bracket mount bolts (included in the kit) should be torqued to 75 foot-pounds. The silver zinc plated dust/water shields included with the kit are also identical to the stock production line parts. 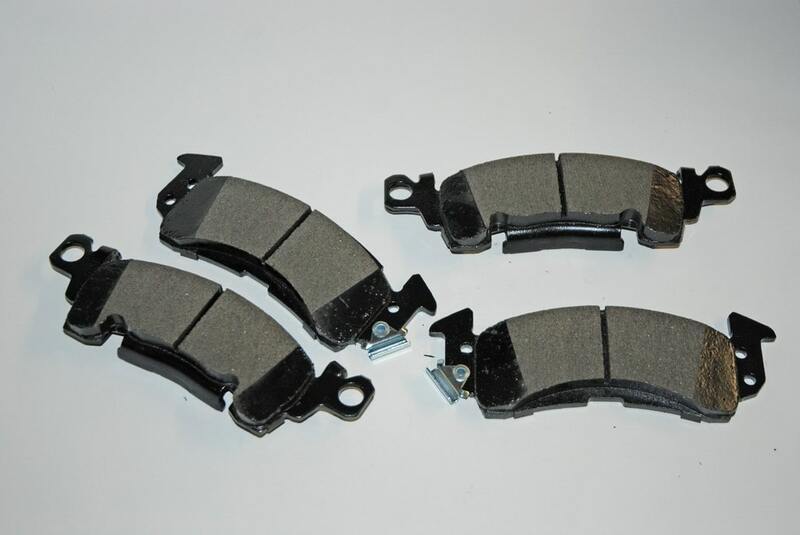 GM used a specific dust and water shield on disc brake applications. If you find a used set, you’ll find they’re often mangled from (of all things) the use of a large pickle fork and hammer to loosen ball joints. Mount hardware for the calipers brackets and dust shields are included with the Heartbeat City kit. 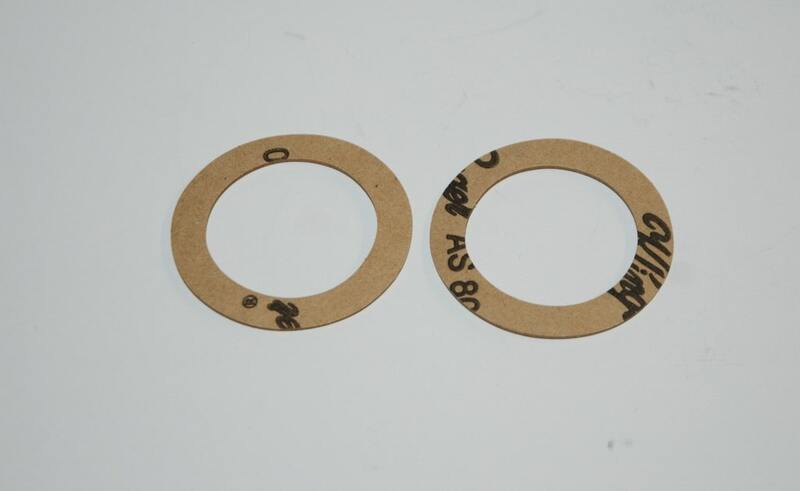 And as mentioned previously, the (often missing) dust shield gaskets are also included. Heartbeat City includes new - not rebuilt - single piston brake calipers with the kit. These are exact reproductions of the stock GM single piston caliper setup that made its debut in 1969 and continued for years to come. Previously (and in c2 and c3 Corvette applications), GM calipers were four piston configurations. The sliding single piston arrangement is far simpler but equally effective when compared to the first design four piston jobs. 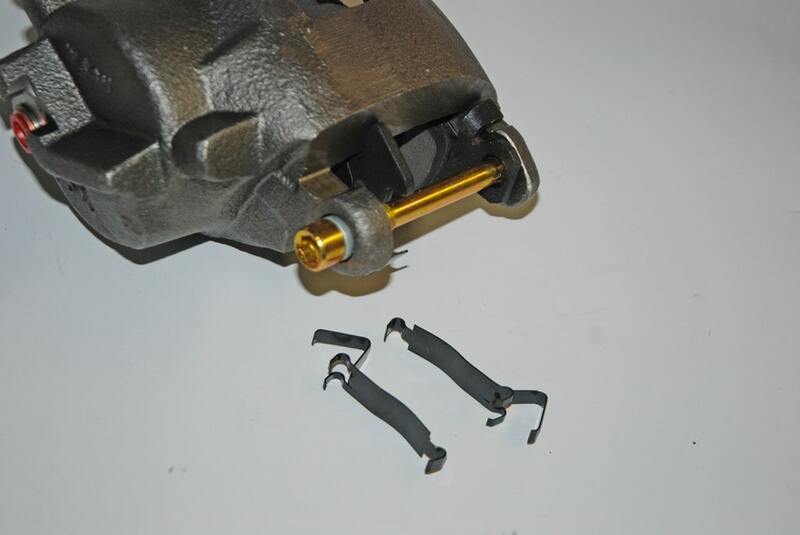 The calipers supplied in the kit are loaded with a set of new AC Delco “Dura Stop” metallic riveted pads. Also included in the package are anti-squeak clips for both left and right calipers, new plated caliper mounting bolts and all necessary hardware. New mounting bolts should have a small amount of lubriplate on the shoulders and should be torqued to between 30 and 40 foot-pounds. 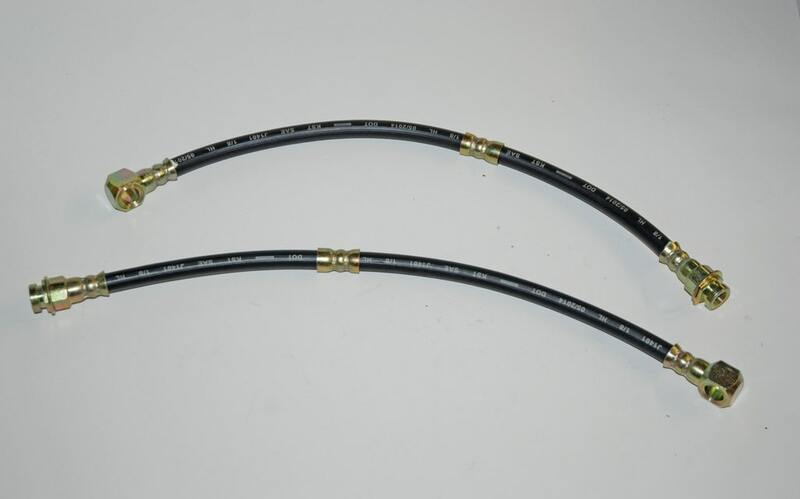 Another pair of items included in the kit is the brake hoses. Here, Heartbeat City supplies new SAE, DOT-approved rubber hoses complete with a banjo style fitting on the caliper side. 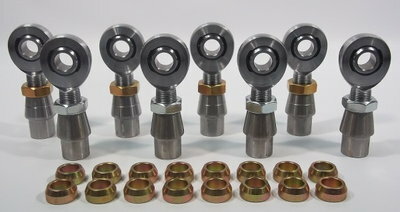 New banjo bolts and fresh copper crush washers are included, along with four brake line retaining clips. Note that crush washers should not be reused – they were always designed to be replaced when serviced. Banjo bolt torque is 18-25 foot-pounds, according to a GM Assembly Manual (now you know why brake hoses are often hard to crack open). We’re not quite done yet. 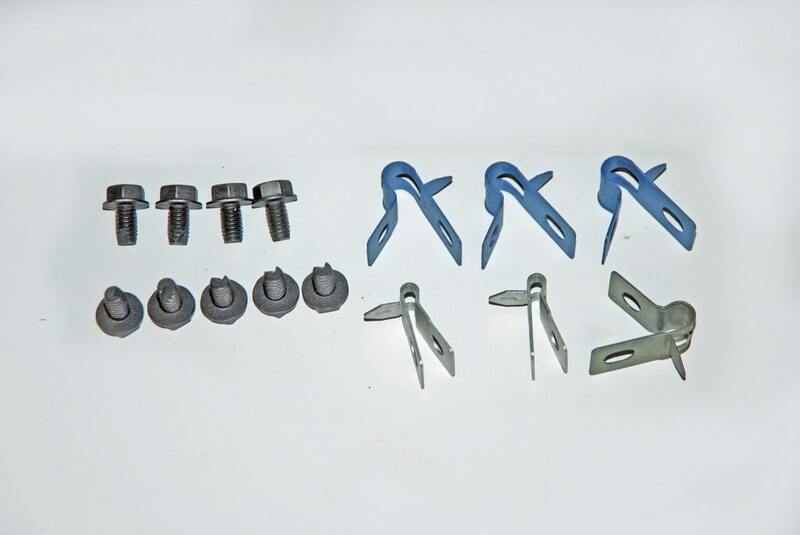 The kit is also supplied with a complete pre-bent front brake line kit, assembly line correct brake line clamps and retainers, the self tapping screws necessary to install the line clamps, brake line support brackets and even the rubber sleeves used to separate the hard line at the support brackets. Essentially, this kit provides for all new brake lines from the firewall forward. As you can see, this kit is comprehensive with a capital “C.” You only need to add brake fluid and wheel bearing grease. Equally important, the Heartbeat City kit is easy to install – using hand tools, just follow the common factory repair procedures for your GM car. Zero fabrication is required and everything fits like, well, stock. “Taking Stock” of your brakes? You bet. 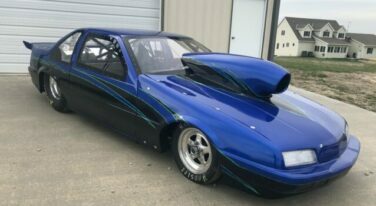 But the kit will also work great for a street strip application or even a dedicated drag car. Check out the accompanying slide show for a closer look. The brake caliper mount brackets included in the kit are heavy-duty steel pieces that are yellow (gold) zinc dichromate plated. There is a right and a left hand bracket, and both are exact reproductions of the original GM components. The ½-inch caliper bracket mount bolts (included in the kit) should be torqued to 75 foot-pounds. The silver zinc plated dust/water shields included with the kit are also identical to the stock production line parts. GM used a specific dust and water shield on disc brake applications. If you find a used set, you’ll find they’re often mangled from (of all things) the use of a large pickle fork and hammer to loosen ball joints. Mount hardware for the calipers brackets and dust shields are included with the Heartbeat City kit. And as mentioned previously, the (often missing) dust shield gaskets are also included. Heartbeat City includes new - not rebuilt - single piston brake calipers with the kit. These are exact reproductions of the stock GM single piston caliper setup that made its debut in 1969 and continued for years to come. Previously (and in c2 and c3 Corvette applications), GM calipers were four piston configurations. The sliding single piston arrangement is far simpler but equally effective when compared to the first design four piston jobs. The calipers supplied in the kit are loaded with a set of new AC Delco “Dura Stop” metallic riveted pads. Also included in the package are anti-squeak clips for both left and right calipers, new plated caliper mounting bolts and all necessary hardware. New mounting bolts should have a small amount of lubriplate on the shoulders and should be torqued to between 30 and 40 foot-pounds. Another pair of items included in the kit is the brake hoses. Here, Heartbeat City supplies new SAE, DOT-approved rubber hoses complete with a banjo style fitting on the caliper side. New banjo bolts and fresh copper crush washers are included, along with four brake line retaining clips. 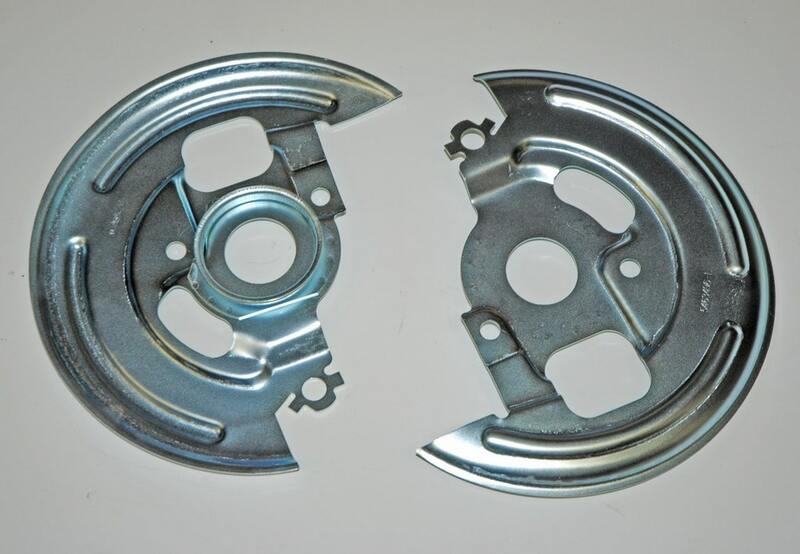 Note that crush washers should not be reused – they were always designed to be replaced when serviced. Banjo bolt torque is 18-25 foot-pounds, according to a GM Assembly Manual (now you know why brake hoses are often hard to crack open). We’re not quite done yet. 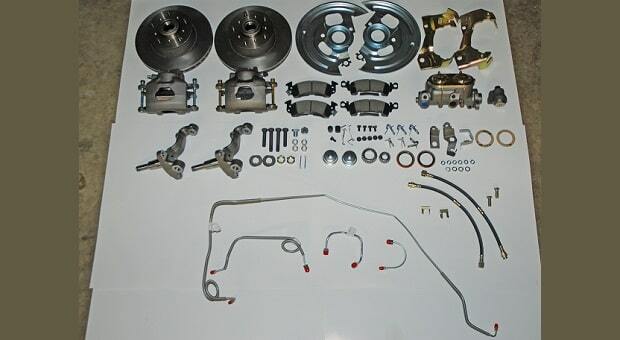 The kit is also supplied with a complete pre-bent front brake line kit, assembly line correct brake line clamps and retainers, the self tapping screws necessary to install the line clamps, brake line support brackets and even the rubber sleeves used to separate the hard line at the support brackets. Essentially, this kit provides for all new brake lines from the firewall forward. As you can see, this kit is comprehensive with a capital “C.” You only need to add brake fluid and wheel bearing grease. Equally important, the Heartbeat City kit is easy to install – using hand tools, just follow the common factory repair procedures for your GM car. Zero fabrication is required and everything fits like, well, stock. “Taking Stock” of your brakes? You bet. 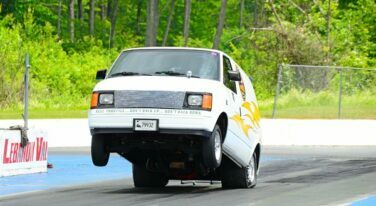 But the kit will also work great for a street strip application or even a dedicated drag car. Check out the accompanying slide show for a closer look. OEM style reproduction caliper mount brackets included in the kit. The brackets are sided, left and right (and clearly marked on the backside). 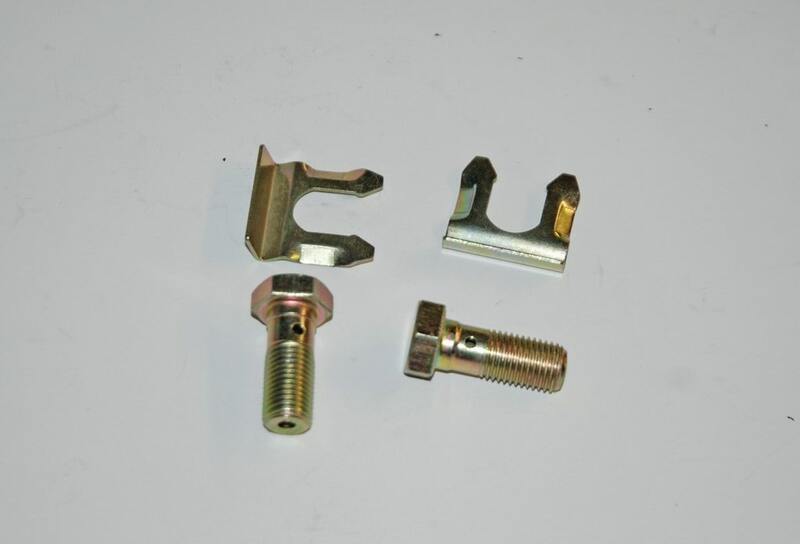 The ½-inch caliper bracket mount bolts are also included in the kit. 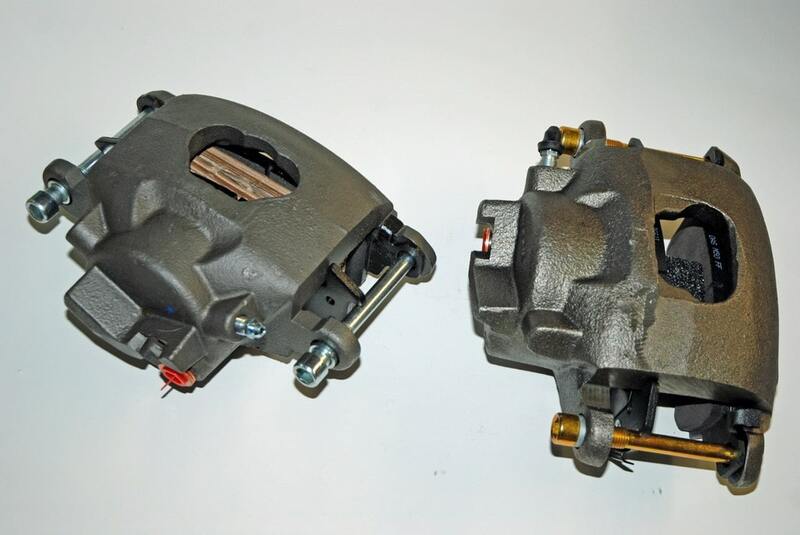 GM used a specific dust and water shield on disc brake applications. Reproductions are included in the kit. 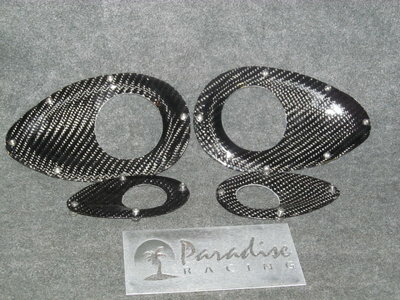 Also included is a set of dust/water shield gaskets. These are often missing. Correct dust shield fasteners (which mount in the top hole in the spindle) are also included. The kit comes with new (not rebuilt) single piston brake calipers. These are exact reproductions of the stock GM single piston caliper setup that made its debut in 1969 and continued for years to come. New plated caliper mounting bolts and all necessary hardware are supplied with the calipers. As pointed out in the text, use a small amount of lubriplate on the shoulders. 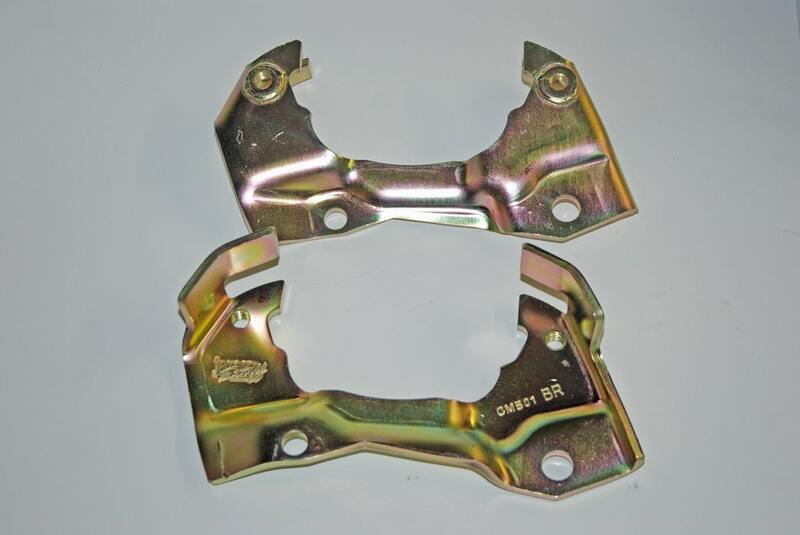 The calipers are supplied with new AC Delco “Dura Stop” metallic riveted pads. See the text for proper rotor prep during pad installation. New SAE, DOT-approved rubber hoses complete with a banjo style fitting on the caliper side come with the kit. These are identical to the hoses fitted to 1969 Camaros, Novas and other GM products. Also included are new banjo bolts along with new copper crush washers (not shown) and brake hose mount clips. The text offers torque specs for the banjo bolts. A complete set of disc brake hose brackets is included with the kit. 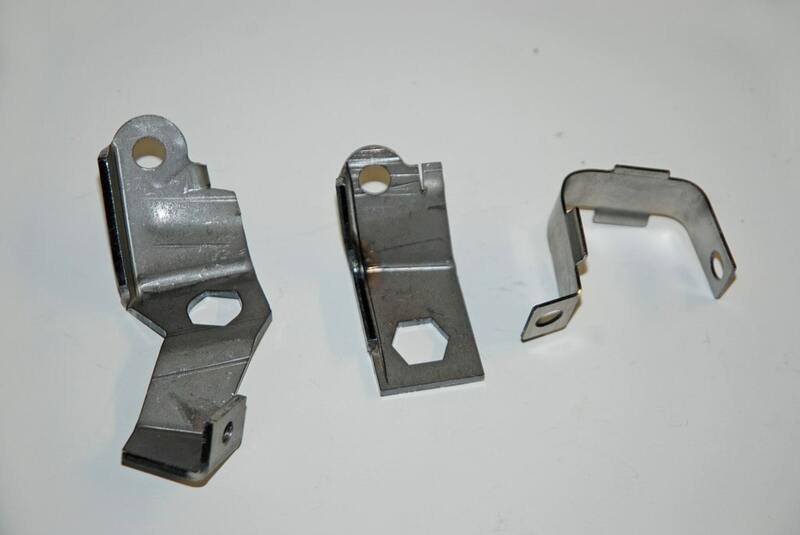 The brackets are supplied in natural steel. 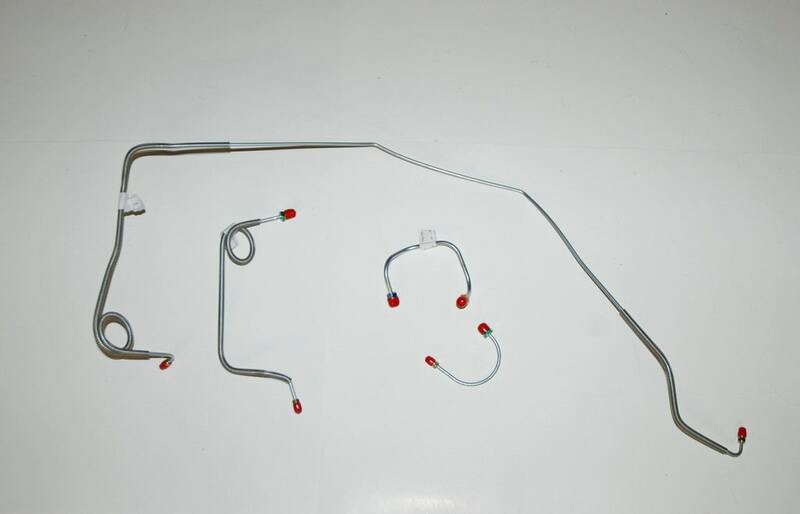 Here’s a look at the pre-bent brake line assembly that is supplied with the kit. It’s bone stock and for this application, designed for use with a first gen Camaro or Firebird or ’68-74 Nova or other GM X-body. Heartbeat City also includes a set of GM phosphate plated brake line clips along with mounting bolts (screws). These install in the stock location.